The U.S. flooring industry reported growth of 3.85% in dollars and 3.2% in volume from last year. 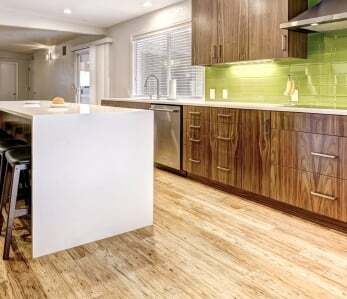 Two of the most popular residential flooring options are bamboo flooring and laminate flooring. Bamboo is a natural floor material that acts as a species of hardwood. Laminate, on the other hand, is more of a hardwood imitator. Both laminate and bamboo have their advantages. Let’s take a look at some similarities and differences between these two materials. Laminate floors offer great durability benefits on their top layer, but the underlying planks can be easily damaged. Bamboo floors are extremely durable and can be up to 12% harder than the majority of North American hardwoods. Additionally, because bamboo is so durable, this type of flooring will last an average of 25 years. Both bamboo and laminate flooring can be inexpensive, costing less than $3 per square foot. However, lower prices typically come with lower durability, less moisture resistance, and other issues. Quality flooring costs a little more but works much better. 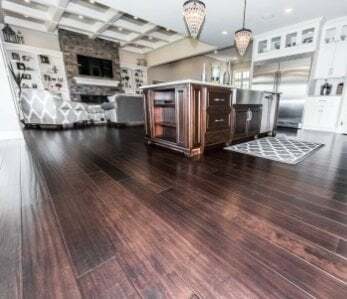 High-end laminate flooring rarely goes beyond $5 a square foot and usually can be found for $3-$4 a square foot, making it a great choice for homeowners who want nice floors on a budget. 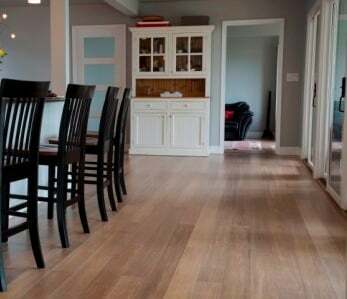 Mid-range bamboo floors cost about as much as high-end laminate, but premium bamboo can go as high as $10 per square foot. Though laminate is more affordable, you get what you pay for. 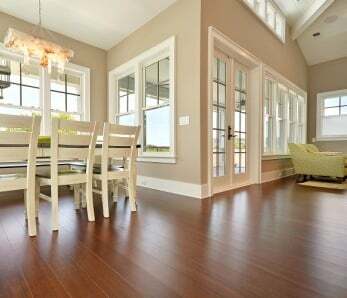 Both bamboo and laminate floors are easy to clean and maintain. You can get away with vacuuming or sweeping laminate flooring on a regular basis. Bamboo flooring can be easily maintained and kept clean as well but can also be refinished. Laminate floors often look like someone took a photograph of wood or stone. But bamboo flooring offers unique appearances, great for any style of home. Because each bamboo plank is made up of hundreds of individual strands that have been compressed together, no two boards look exactly the same. 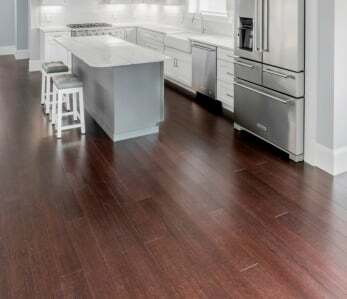 Laminate flooring can look nice, but when it comes to appearance, bamboo is the best flooring choice that a homeowner can make.